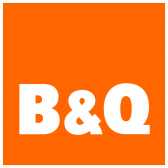 B&Q are one of the leading home improvement and garden centre retailers in Europe and the third largest in the world. They have over 6,000 competitively priced DIY products available to buy online ranging from painting & decorating including all leading brands, garden sheds, fencing, lawnmowers and plants just to name a few. There is also an extensive range of kitchen and bathroom accessories, beds and lighting. £5 for up to £100 spent, £10 for upto £200, £15 for upto £250 spent.